Gas/Electric Double Deck Oven in India, Gas/Electric Double Deck Oven With Proofer Manufacturer/Supplier in India. 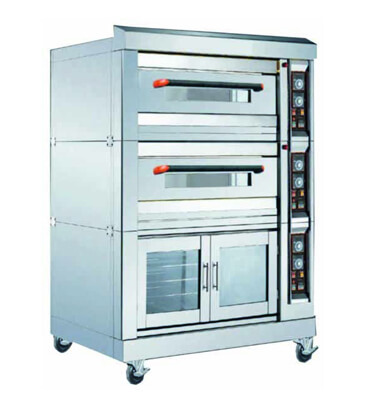 We offer a high quality Double Deck Baking Oven With Proofer (Gas/Electric) in India to our valuable customers. This product is widely used for baking bread, pastries and cookies. This product is manufactured using cutting edge technology, to meet the high standards of quality. This product is fully tested by our team of experts at each level of their production. This product is available in both electric as well as gas models.